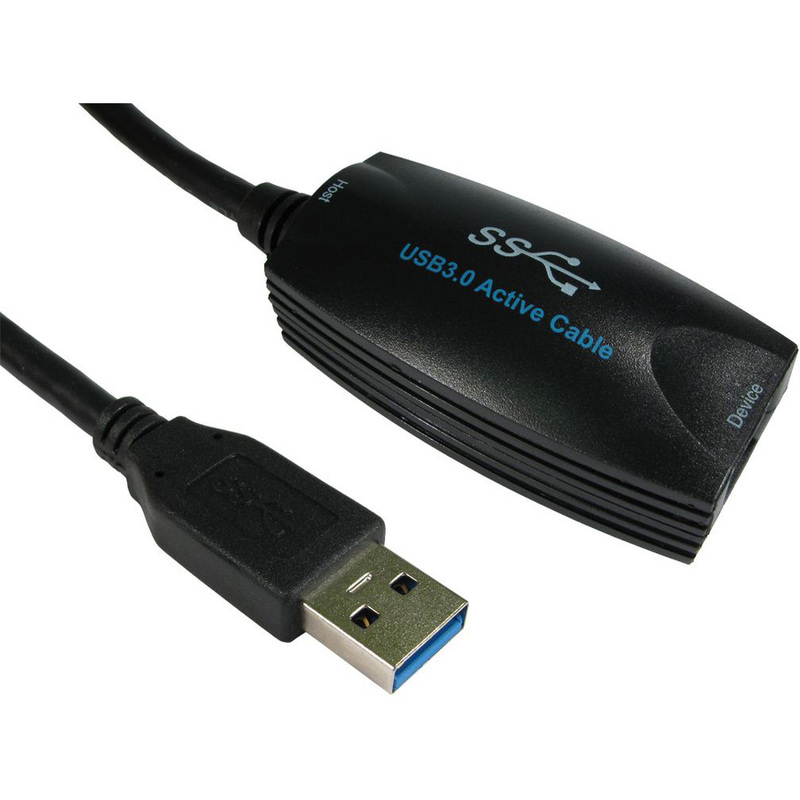 The USB3-EXT-5MTRS is our USB3.0 active extension cable. At the PC end it has a 5m cable with a USB3.0 type A Male and on the device end a USB3.0 A Female. It can extend USB3.0 signals up to 13m by connecting a high quality 8m cable to the device end.